Think finding the best elliptical for bad knees is challenging? See our list of favorites below and why the NordicTrack C7.5 is our top pick. Running on bad knees can be a painful experience. Fortunately, many other forms of aerobic exercise exist that don’t put as much pressure on the knees. Elliptical trainers offer a low-impact workout from the comfort of your home or gym. Similar to a stationary bike, ellipticals provide a form of exercise by changing the resistance of the pedals. If you suffer from bad knees, you may have avoided exercise to prevent further pain. However, regular workouts are essential. When you participate in low-impact exercise, you increase blood flow and nutrients to the cartilage, which is essential for good knee health. One study found that individuals who did light exercise more than three times a week for an average of two hours each day had healthier knee cartilage than individuals who did not exercise at all. Elliptical machines combine the leg action of a stair-stepper with the arm movements of cross-country skiing. If you’ve never used or purchased one before, you may not know where to start. To help narrow down your choices, our team has tested a number of high-quality elliptical machines. Here’s our top choices for best elliptical for bad knees. Size: Elliptical trainers have an average size of 6 feet long by 2.5 feet wide. However, large models can extend from 50 to 84 inches in length. If purchasing a larger elliptical, note that the machine may be elevated and the pedals extended. Intensity: If you have bad knees, you’ll want to start out slow on the elliptical and gradually increase intensity. Choose a machine that has resistance options that meet your individual needs. Ergonomics: Some elliptical machines force your body to tilt forward to reach the pedals. You’ll want to choose a machine that allows you to remain in an upright posture for comfort and better ergonomics. Programs: Any type of exercise can become monotonous after a while. 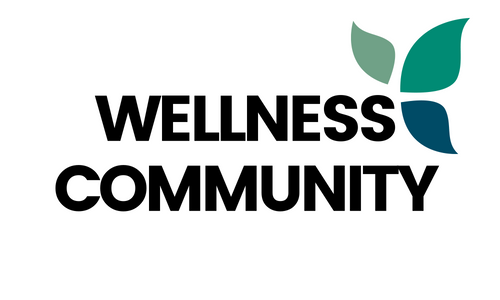 Maintain interest in your workouts by choosing an elliptical with built-in user programs. Some programs keep track of your goals, while others suggest new workouts. When it comes to fitness technology and innovation, our team found the NordicTrack C 7.5 Elliptical to be at the top of its class. The machine features 26 work apps that allow you to follow built-in workouts designed by a certified personal trainer. Not only does this help you reach your fitness goals faster, but you can also customize your goals by choosing various program functions, such as performance, intensity, and calories. The elliptical is also very powerful. With its 20 lb. flywheel, the machine is specifically engineered to provide the user with incredibly smooth performance and a more natural, even ride. If you want to boost intensity, you have the option of 22 digital resistance levels. The quick and responsive one-touch controls allow you to adjust your resistance and incline to meet your desired intensity level. What makes the NordicTrack Elliptical the best elliptical for bad knees in our eyes is its power adjustable stride. With this feature, you can find a length that best matches your body’s natural movement. When your body is in tune with the workout, you’re putting less pressure on your knees. If you have bad knees, you’ll want to start out slow at 0 incline, and gradually work your way up to the 20 degree maximum incline. To keep you entertained as you work out, the elliptical has a tablet shelf in which you can secure your tablet, allowing you to watch your favorite shows, movies, and music as you exercise. The C 7.5 model also has an integrated sound system that can connect to any standard headphone jack. The sound system projects high-quality sound through each of its 2-inch speakers. Elliptical trainers have become a mainstay in cardiovascular exercise equipment. One of the biggest names in fitness equipment today is Schwinn. This iconic American brand encourages an active, healthy lifestyle by providing users with a wide selection of bike and elliptical machines. 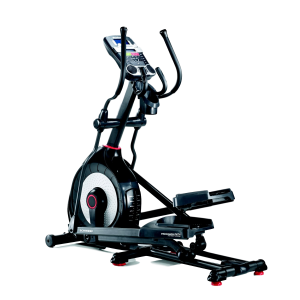 The Schwinn 470 Elliptical Machine is one of their newer models, encompassing a variety of must-have features, programmable functions, and technology. Our team tested the Schwinn Elliptical and found many tools and features that make it the best elliptical for bad knees. Let’s start with the 25 levels of resistance, coupled with a high speed weighted flywheel, which help to make every exercise session smooth and noise-free. Large articulating footplates feature cushioning to absorb any impact put on the knees during use. Of course, the elliptical also has other great features that make for an effective workout at home. An updated Schwinn DualTrack™ LCD display, along with goal tracking functionality, allow users to easily track their time, calories, and distance. These metrics can then be uploaded with a USB thumb drive to the SchwinnConnect™ website to keep track of your workout goals at a weekly, monthly, or even yearly level. Another great feature we found with this Schwinn model is its ten degree motorized ramp. This innovative design gives the user an ergonomic, fat-burning workout with functions that cater to your individual fitness level. The integrated heart monitor can also ensure that you achieve a more efficient workout. With the help of a digital program, your heart rate will tell you when you’re in the “fat-burning zone”, allowing you to lose weight easier than ever before. 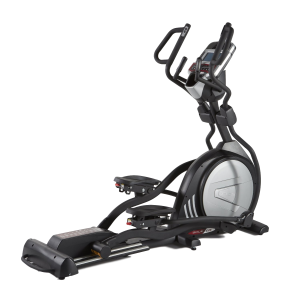 Schwinn has some set high standards in the fitness industry, and the 470 Elliptical Machine is no different. 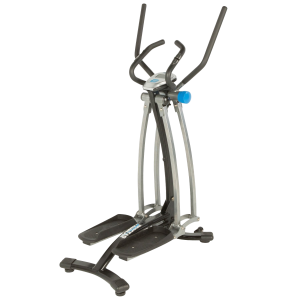 The two integrated levelers and center frame support provide users with a solid workout, while also accommodating larger exercisers. Users will also find use from the angled moving handlebars, allowing you to maintain stability while providing a comfortable place for your hands to rest. You’ll also keep cool thanks to the three-speed fan. 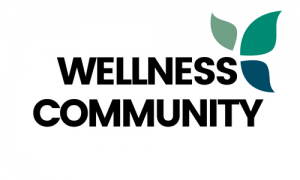 A recent article published by the co-director of the Mayo Clinic Sports Medicine Center reported that elliptical machines have several distinct advantages over treadmills. They are found to be less stressful on the back, hips, and knees and are a good alternative to jogging. When searching for the best elliptical for bad knees, we came across the Sole Fitness E35 Elliptical Machine. This innovative machine provides the user with a challenging cardio workout while allowing you to exercise at your own pace and time. A blue, backlit LDC display keeps tracks of your training data so that you can reach your goals with more precision. Adjustable pedals allow you to go forward or reverse, making each workout even more challenging. The 20 lb. flywheel, in combination with the high gear ration, makes for a smooth feel. The machine has 20 levels of resistance to make your workouts easier or harder, depending on your fitness level. Moving handlebars provide extra stability while working your legs and contain pulse sensors for monitoring your heart rate. You’ll also find oversized foot pedals exclusively designed to reduce knee and ankle stress. 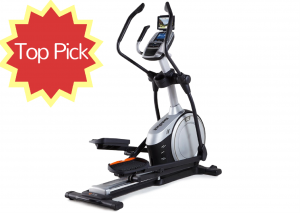 You’ll also find some other great features that make this one of the top elliptical machines on our list. Users have access to extra perks like multiple pre-built and custom programs, chest strap heart rate monitoring, front drive system, built-in fan, sound system, water bottle holder, and a LCD console with a 7.5-inch display that tracks all of your important training information. The Sole Fitness Elliptical measures 27 by 58 by 83 (W x H x D). It weighs 230 pounds and has a 375 pound weight limit, making it a viable option for men and women of various sizes. If you’re in the market for a new elliptical for your home, you won’t be disappointed with this model. Just grab your MP3 player, plug it into the machine’s speakers, and begin your fitness journey. Similar to stationary bicycles, elliptical trainers offer a low-impact workout that puts less pressure on the knees than other cardio machines. The circular motion of the elliptical puts less pressure on the joints, muscles, and cartilage, making it an excellent option for individuals with bad knees. The Universal E40 Elliptical Trainer is an affordable option for a high-quality elliptical machine. Our team tried out this elliptical with its basic design and easy-to-use technology. Users can find eight levels of magnetic resistance, a grip heart rate monitor, and a console that works with an AC adaptor or batteries. You’ll also find seven workout programs that help to keep you challenged as you gain physical strength and progress towards your fitness goal. The large, easy-to-read LCD window is a great tool for tracking your fitness along the way. The functional console can be used to track your time, speed, distance, calories, and more. What really makes it the best elliptical for bad knees is its ergonomic design. From the foam-padded handles to the 17-inch stride length, the machine is constructed to give users a challenging workout while maintaining a healthy posture. 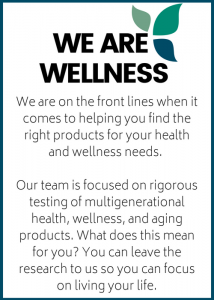 There are a few other great features of the E40 Elliptical that we want to note. When running, the noise level is very low, providing a quiet and relaxing workout. It has a total weight capacity of 275 lbs. and features an Eddy brake resistance system for long-term durability. With your purchase of this piece of space-efficient exercise equipment, you’ll also get a manufacturer’s warranty. This machine was everything we expected and more! If you’re comparing elliptical trainers to other cardio machines, you’ll want to consider how each will impact your body. According to Healthline, an elliptical differs than a treadmill as each foot rests on a platform and moves in an oval, compared to a treadmill that mimics the natural walking motion with the heel of the foot striking the treadmill belt. With an elliptical, you can increase your intensity without increasing the stress on your joints. Our team found the best elliptical for bad knees for individuals on a budget to be the ProGear 360 Dual Action Stride Air Walker LS Elliptical. With its simple design, modern technology, and 36-inch full range of motion stride length, you can achieve weight loss while also toning up your body. The unique elliptical design features individual 180 degree range of motion leg exercises, as well as dual action arms which provide an excellent upper body workout. 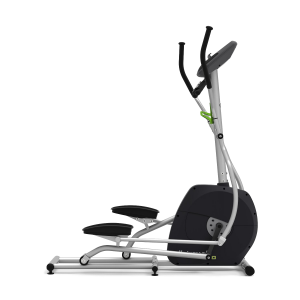 What we really liked about the ProGear Elliptical is that it offers continuous multi-directional motion, helping to work out nearly every part of the body in one amazing workout. The oversized 15-inch long foot pedals have ribbed foot pads that prevent slippage and adjustable rear floor stabilizers that ensure that the machine is well-leveled and will not tip or rock. To keep track of your fitness, the elliptical has a LCD computer that displays large readouts of the step count, calories burned, time, distance, and pulse. Pulse sensors provide the user with heart pulse readouts. Unlike most other bulky ellipticals, this small frame machine easily folds up so that you can store it in a closet or other area to save space. This elliptical has a total weight capacity of 225 lbs.